As a multicultural brand, Sepideh Ahadi is bridging the gap between her pure middle eastern background and European life experience. In her work, Sepideh embraces the simplicity of the traditional techniques used in Iran, her home place with the elegance found in Italy where she finished her M.A in fashion design and the practical aesthetic of German lifestyle, where she lives and work now. 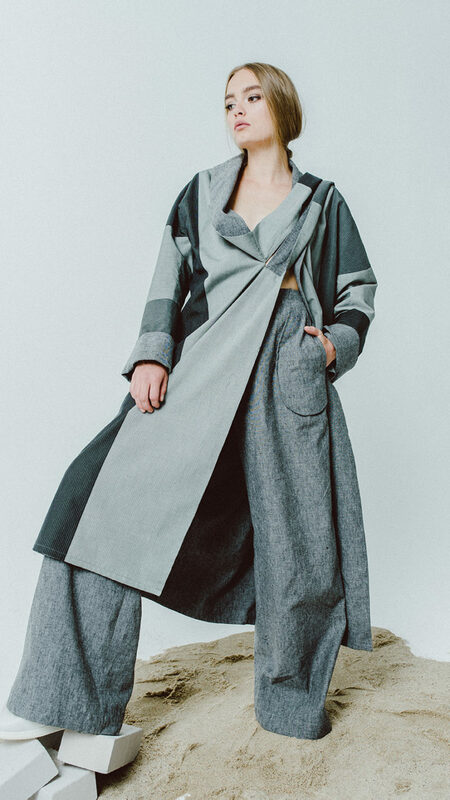 The brand is dedicated to slow fashion and sustainable practices, in that the designer creates her collections through a considered and experimental process. The collections mostly reflect social issues in the modern lifestyle where the designer challenges herself to find an artistic way to contribute to making a difference. As a designer, Sepideh feels the responsibility to invite her audience to think about fashion in a different and more interactive way through her designs. For the designer creativity is not just in the final designs but in the entire process and how she finds alternative ways to present her ideas.